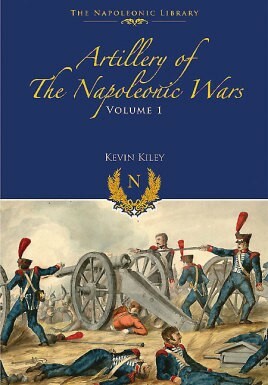 In this detailed study Kevin Kiley looks at artillery in use throughout the Napoleonic period. He examines Napoleon's own artillery as well as that employed by his enemies, and he evaluates the gunners' contribution to warfare in the period. By looking at particular battles in detail, Kevin Kiley shows just how the effective employment of artillery could tip the scales of victory. Artillery of the Napoleonic Wars reveals much of the technical aspects of gunnery during the period – how guns were placed, their range, what caliber's were preferred, how artillery operate. It examines French artillery, including that of the Imperial Guard, and compares it to that of Britain, Russia and Austria; it also looks at many of the personalities involved and the difference between good gunnery and mediocre artillery. Illustrated with beautiful line drawings and rare contemporary plates this unique book reveals a whole new dimension to the Napoleonic period. Based on years of research into regulations of the period, eyewitness accounts of artillerymen and material culled from official reports, this is a definitive account. Kevin F. Kiley is a retired US Marine Corps artillery officer. He is a graduate of West Point and has a master’s degree in Military History from Norwich University. He lives in North Carolina with his wife, Daisy, and his son, Michael.